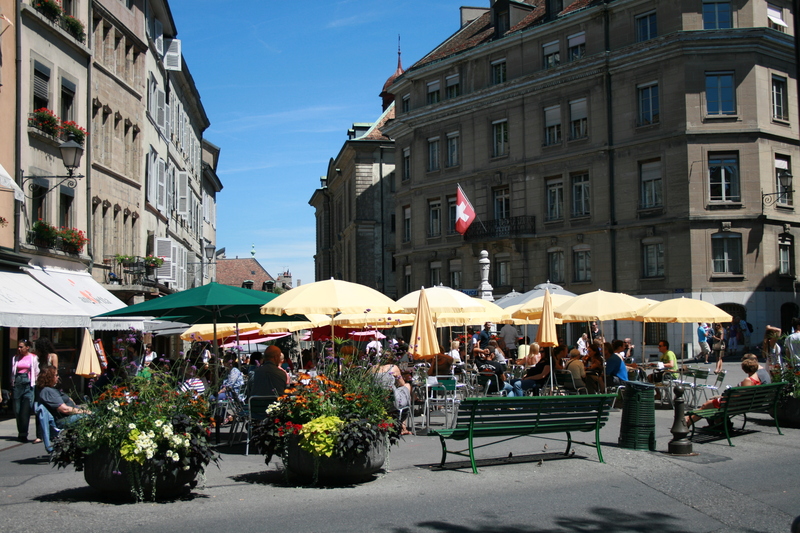 Geneva is said to be Switzerland’s biggest historical city. I actually spend more time in the international quarter but I absolutely loved the old city, with its small backstreets, which is located on a hill. Here you find e.g. the Maison Tavel, Geneva’s oldest private residence still standing which is a unique testimony to medieval civil architecture. And on top of the hill is Peter’s Cathedral, the centre of the Reformation movement. To get an even better overview over Geneva for about 4CHF you can climb the 157 steps to the top of the tower for a stunning view of the town. Of course I went up there once with my dad and of course I enjoyed the view but of course this tower is a very stable building. There is also an archaeological site below the Cathedral but nobody wanted to go there with me. Going down the hill you end up in the shopping district of Geneva with, guess what in a city of watchmakers, many jeweller’s shops. Now that’s great if you want to spend lots of money but if not than you have the normal shops. I guess the selection of shops is like in any other bigger city in Europe so nothing interesting except for onething: The department store Globus. Even if it look not especially special from the outside, this is a consum temple with delicacies of all kind, everything expensive of course. It already starts with a beautiful food court. Just go and have a look even if you don’t plan to spend any money. Going down the old city’s hill away from the lake you end up at elegant Place de Neuve with museums and the opera. It borders on one side on an beautiful park, the Parc des Bastions, where Europe’s most important protestant reformers are honoured with four giant statues. Here you find the Palais Eynard, seat of the city government, and the old university building with its library. If my French wasn’t so bad and I had finished studying already when my dad moved to Geneva I would have loved to study here. Another part of the city center holds a different attraction, the international quater. 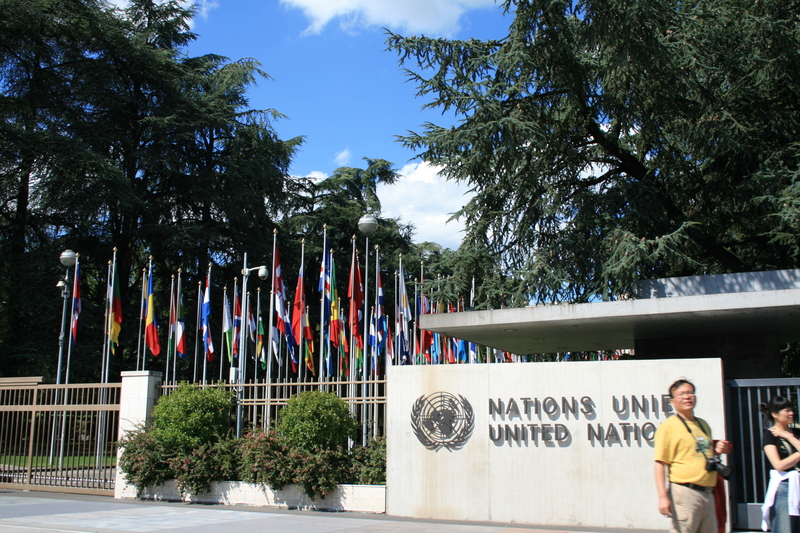 The European headquarters of the United Nations have become the centre of world diplomacy. 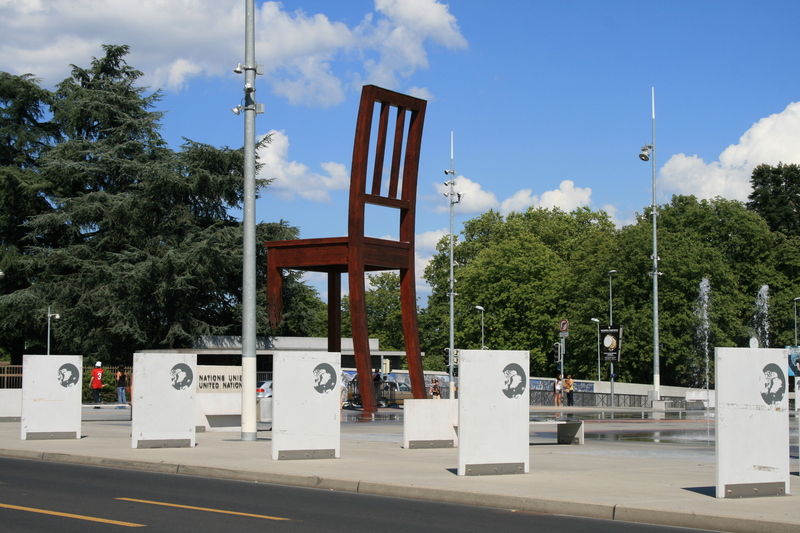 On the Place des Nations you find the monumental ‘Broken Chair’ and behind that the Palais des Nations, the European headquarters of the United Nations, the secod largest in the world. You can visit the building for around 12 CHF to not only see how the room look like where world politics are discussed but also to admire all the artwork hanging around here. Make sure you bring valid identification documents because otherwise they won’t let you enter. 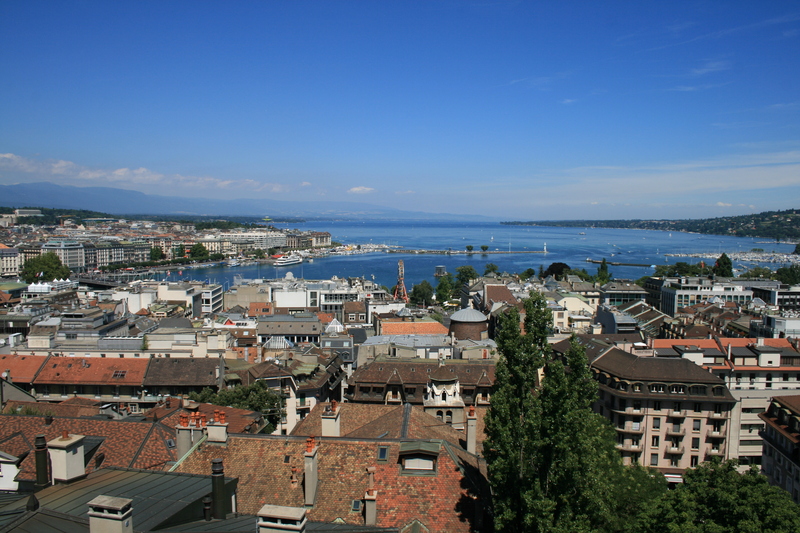 Find out more about Geneva’s waterfront in this post. 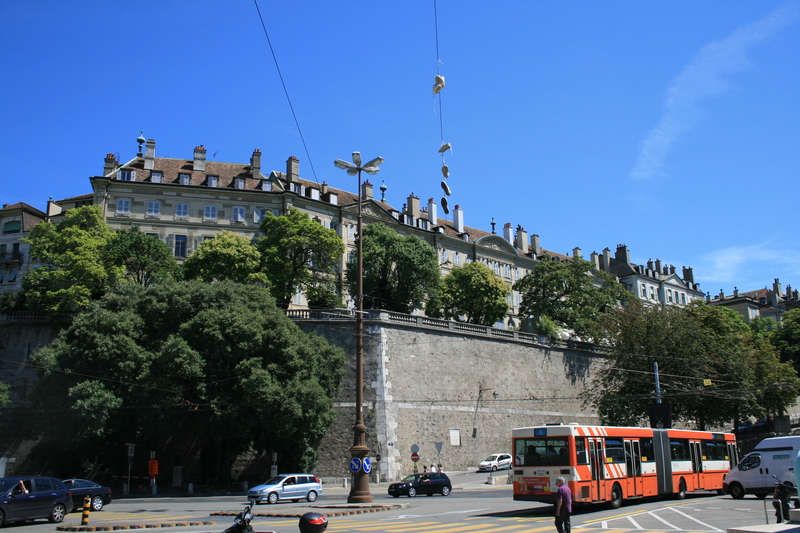 This entry was posted in Switzerland and tagged Geneva, Short Trip by kathatravelling. Bookmark the permalink.